Change the tip on your ASP Talon baton to this and you will always have a ceramic window breaker ready for action. The tip has a cap that screws on for normal baton operation. 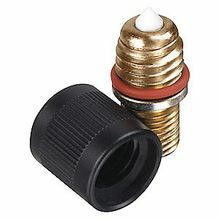 Once the cap is removed it reveals the ceramic tip you can use to punch holes in a windshield or any auto glass. Fits only ASP Talon batons.